We appreciate the opportunity to address your comments. The vacation packages offered by BookVIP are amazingly affordable because the resort partner is paying for 70% of the cost of these promotions. Due to the limited number of packages available, the resort partners set forth certain eligibility requirements to ensure that the packages are enjoyed by the guests for whom they are designed. As the booking company, BookVIP must ensure that all guests are eligible for the promotional packages before reservations are made and sent to the participating resort provider. The Terms and Conditions are reviewed with the customer during the sales call. The customer must agree to the Terms and Conditions before the booking is finalized and dates sent to the resort. In your case, the promotion you purchased is offered to married / cohabitating couples and both spouses / significant others must travel together in order to qualify for the promotional rate. 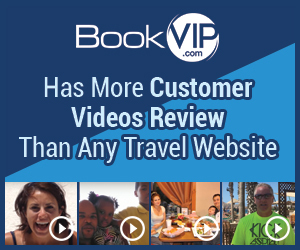 BookVIP has thousands of happy travelers every week, and has more video testimonials from happy customers than any other travel website in the world. Please refer to http://bookvipreviews.com/. Review #1056366 is a subjective opinion of User1056366.